I'm going to cry. This is so exciting. With a sub-plot that is both touching and interesting, Cinematic Royalty is a must read. Set back in the day, which I must say is refreshing and spot on, I found myself transported back in time believing every word. Oh, the glamour! The decadence! I wanted to wear the clothes, saunter around the Winmont Hotel in all my finery, and visit Bridget while on set. [...] Be warned, this tale brought more than a tear to my eye. I’m not ashamed to admit I cried like a baby—for the sadness and the happiness. Want to read the rest?! Go here! Congrats Sel! Sounds like a great review. Thanks Kath! I'm very proud of it! Congratz! I only read the snippet real quick right now and I want to read the whole review tonight, but that sounds like an amazing compliment (feedback, lol)! I'd be screaming too if I were you. I can't believe I missed this! I love your writing Sel! I'm so happy for you. I makes my day when people find what they LOVE to do and find a way to get paid for it. That is great for you! 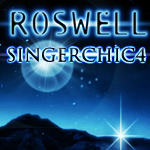 Thanks singerchic! That means a lot to me. I just wanted to provide a link to those who wanted to read all of the reviews I've gotten. I've posted them on my website! A central location for those who are in limbo as to whether or not to get the book.